We’re constantly on the hunt for styles that are stylish yet super comfortable. One such fashion item that deserves some space in your closet is the waist-tie kurti. It’s a figure flattering silhouette, with the belt tie-up adding the missing drama to your outfit. Also - it's an easy way to accentuate your curves. 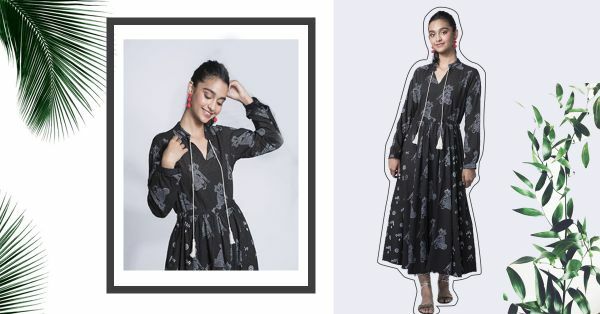 We know how much you love wearing your kurtis to work so we decided to list out our favourite pieces. What’re you waiting for? It’s time to start adding these to your virtual cart! Kurtis in dark hues have an interesting charm. This piece is perfect to wear for a date night if you’ve decided you want to ditch your dresses. We’re eyeing the detailing and the colour combination - it’ll complement the Indian skin tone perfectly. Wondering how to style it? Go for pretty pink palazzos and silver juttis! Who says your workwear attire has to be boring? This smart kurti with a tie-up at the waist will upgrade your work ensembles. Team this one with blue palazzo pants to ace the ‘strictly business’ look. You can add the glamour of the waist-tie detail to your formal ensembles too! This light blue hue angrakha kurta is perfect for a day wedding. The best part? 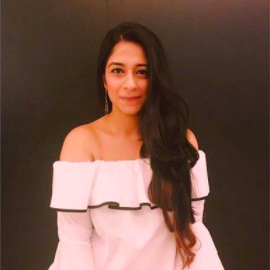 In the summer, you can wear it as a dress if you don't want the hassle of a churidaar. Black Always Makes The Cut! For all those of you who swear by the colour black - we have an option for you too! No girl can resist a kurta that can be flaunted as a dress as well. So for those ‘I have nothing to wear’ days, we’ve picked out the perfect addition to your closet. The light pink kurti, brown belt tied at the waist and dark pink palazzo pants make this colour block combination really work. We’re especially loving the slit style. Style this piece with easy-breezy pants and a pair of pretty chappals. We are not getting over this statement floral kurta anytime soon. It has everything we love - from the print to the colour. And obviously, the waist tie-up belt detail. We’d actually give the accessories a miss since this piece is the whole package!